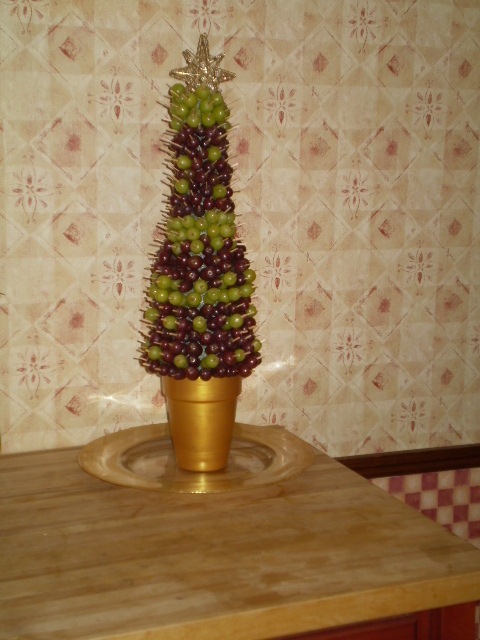 My sister and I are both bringing an item to Christmas dinner tomorrow. One of us went to design school, and one of us went to music school….. Can you tell who made which dessert???? 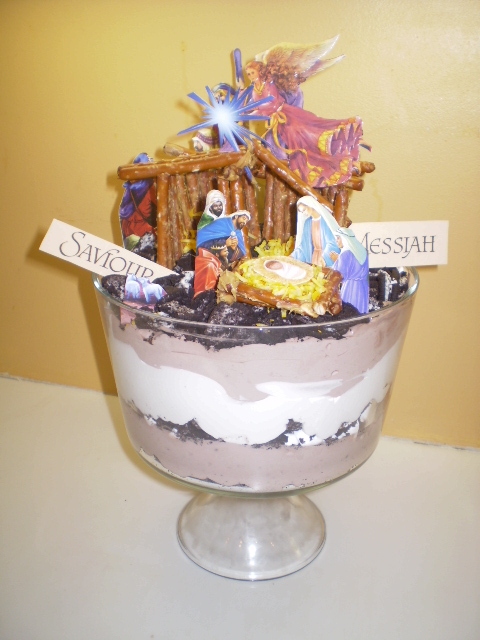 So, I decided to make trifle, but to make an entirely edible nativity scene on the top. I made the stable with pretzels and peanut butter, and fake hay with coconut and yellow food coloring. I had fashioned Mary, Joseph and the babe out of Marshmallows which I then painted with food coloring, however, marshmallows expand, and they were falling over. So I ate them. Well, I didn’t eat Jesus because I’m used to him in wafer form.